An unnamed spy is dispatched to Shanghai to aid a shadowy U.S. agency known only as HQ. There he meets a mysterious woman named Mei and begins a torrid affair that threatens to expose him to Chinese intelligence, the notorious Guoanbu. As danger waits for him around every corner, and the enigmatic Mei moves into and out of his life, he finds himself drawn further into a deadly cat-and-mouse game between Guoanbu and HQ that threatens not only to end his life but to also dangerously destabilize East/West relations. John Fitzgerald Adams, known by the voters who love him as Jack, has good reason to believe he is the illegitimate son of John F. Kennedy. His goal is the same as that of any Kennedy: to reclaim the presidency and enjoy as many women as possible along the way. Hugh Legat is a rising star of the British diplomatic service, serving at 10 Downing Street as a private secretary to the Prime Minister, Neville Chamberlain. Paul von Hartmann is on the staff of the German Foreign Office - and secretly a member of the anti-Hitler resistance. The two men were friends at Oxford in the 1920s, but have not been in contact since. 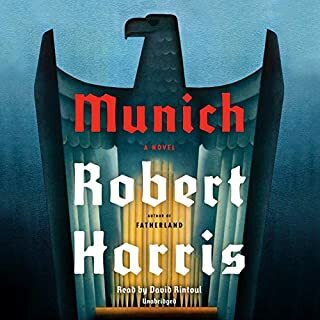 Now, when Hugh flies with Chamberlain from London to Munich, and Hartmann travels on Hitler's train overnight from Berlin, their paths are set on a disastrous collision course. 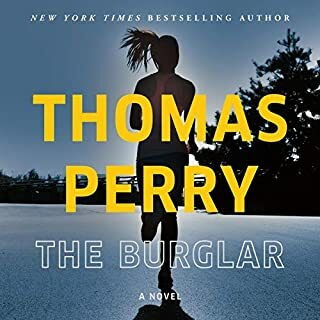 Thomas Perry's Edgar Award-winning debut novel follows a professional hitman on the run from both the mafia and the government. Thirteen bodies are found in a Louisville restaurant. When the police can find no suspect or motive, the family of one of the victims seeks the services of the enigmatic and solitary specialist Roy Prescott, known for his ability to find people who don't want to be found. The Miernik Dossier is the dazzling first novel, newly reissued, by master spy novelist Charles McCarry. In this riveting, imaginative tale, five international agents embark on a car trip in a Cadillac, traveling from Switzerland to the Sudan. Among them are Paul Christopher, an American operative; Kalash el Khatar, the seven-foot-tall Muslim prince; Ilona Bentley, the beautiful half-English, half-Hungarian girlfriend of the British national, Nigel Collins; and Tadeusz Miernik, the shy and bumbling Polish scientist who might be the leader of a terror force that could set the Cold War aflame. Related as a collection of dossier notes written by the five characters, the novel reveals a complicated web in which each spins his or own deception: each is a spider, and each is a spy. At last! And I hope it is the first of the many books by this literate espionage novelist we will be able to hear. In this, his first novel, McCarry chose a difficult technique - multiple points of view on the same subject - and carried it off beautifully. 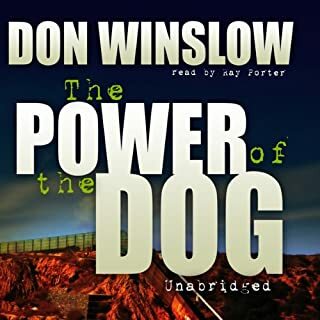 The use of a fine cast of multiple readers makes the audio performance of this book even more powerful than the print version I first read many years ago. Set in the Cold War, the story is, in turn, antic and poignant as the attention of half a dozen security agencies focuses on Thaddeus Miernik. Is he a hapless stooge or a clever spymaster, an unlovely martyr to misfortune or a crafty mastermind? A CIA agent who worked undercover in his youth, McCarry brings the ring of authenticity to his novels - and the missteps, mistakes and misunderstandings that shape covert work form the heart of his tales. There is plenty of action in this unlikely journey of friends and spies across the African desert, but the mysteries take shape in the mind games that play out in the interaction of the characters and the off-screen forces that influence, examine and direct their actions. This book introduces McCarry's virtuous and cerebral American spy Paul Christopher and launches a series of intriguing novels that will span decades - both in the writing of them and the context of events that play out through the cycle of this remarkable author's work. 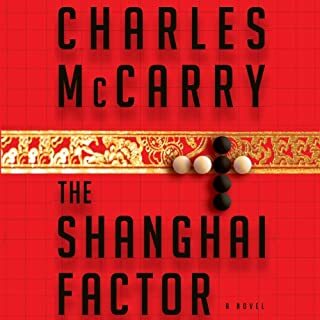 McCarry has been compared favorably to the best of Greene and LeCarre, and his talent shows even in this first novel. Listen to it, enjoy it, and join me in waiting anxiously for the Audible versions of McCarry's "The Better Angels," "The Tears of Autumn," and the latest - "The Old Boys." Would you listen to The Miernik Dossier again? Why? Yes, this is sort of a book that the end doesn’t matter, it’s the journey (no pun intended) that counts. Definitely Miernik, his add demeanor had kind of…. a je ne sais quoi about him. I loved this 4 narrators combination, it felt like a radio performance of years gone by. It is the first time I have listened to book in a journal style comprised of reports & debriefings. I was expecting it to be a very long 10 hours.To my surprise, I couldn’t put it down, at times I sat in the car long after my arrival to hear a few more minutes of this fascinating account of those add friends in their strange journey. McCarry weaves this espionage plot in an ingenious way; he has this “picturesque” way to describe the players and events. The narrators, 4 in total, did an excellent job “acting” the parts of each of the characters and reading the dossier in a dry non involved manner. 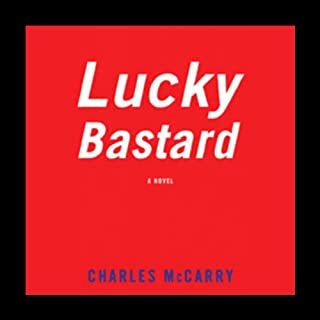 Charles McCarry is the great American spy novelist. There are few guns and the violence is rare enough to be visceral. The protagonist, Paul Christopher, walks in the gray between doubt and faith. The story is a drive along the fault line of Cold War antagonism, but it is made across a continent by a motley crew in a Cadillac, and has the feel of an Ealing Studios production. Still. It holds, not as an artifact but as the first steps of an American master. The performance is pitch perfect: strong, smart, weary and passionate. Well written and very well read. It captures both the naivite and the paranoia of the era quite well. Is he or isn't he a spy/enemy agent? Story told through "official" documents and debriefings is an excellent vehicle for a taut plot. 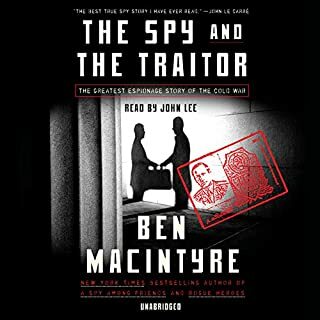 Different from the usual cold-war spy thriller and well worth the listen. I love spy novels, but this is like listening to a bunch of bureaucrats explain a series of events in a congressional hearing. It's confusing and boring. This novels needs to be read once a year. 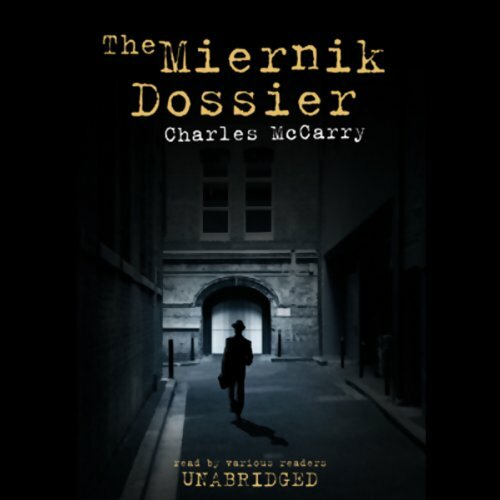 Miernik Dossier , when combined with McCarry's other novels such as The Last Supper. One gets a very clear picture of the tradecraft needed to survive as an undercover agent, but if you interlace other writers like Jason Mathews a qualified image of McCarry's become apparent.